With ISAF shaking up the Sailing World Cup (SWC) in response to IOC criticism lets take a look at what the sailors need and deserve. The goal is to increasing the diversity of sailing competitors. The main strategy in changing the SWC to accomplish this goal is to trim the European calendar while adding events outside of Europe. This is a shake up to the core of the Olympic sailing community. Many of the big regattas including the Delta Lloyd (Holland, Keil Week (Germany) and Miami Olympic Classes Regatta (MOCR) are struggling to come to grips with the new structure while the Princess Sophia Trophy, Semaine Olympique Francais, Sail for Gold and Sail Melbourne have already punched their tickets into the future circuit. Lets examine the premise that moving events from Europe to other places in the world holds merit. For years, the SWC has included European events as well MOCR and SailMelbourne. Anyone who has been to Miami or Melbourne in December and January knows just how good these places are to sail. They are both great places to visit, have great sailing conditions, are travel hubs of their geographic regions, and have nothing beyond their respective distances from Europe holding them back… yet for years, these events have been the lower tier of the WCC in terms of top level participation. Lets face it, Melbourne is a sports meca! Melbourne hosts the Formula 1 season opener, a Tennis Grand Slam, the Aussie rules finals, and the the biggest of them all, the Melbourne Cup horse race already on their calendar. Yet Aussies have an insatiable appetite for sport. Sail Melbourne should be the highlight of the sailing calendar, yet it languishes far behind the European events in terms of attendance. Miami can argue it has even more going for it. Biscayne Bay delivers fantastic sailing conditions and a pleasant climate. Flights from Europe to Miami are relatively cheap and shipping from Europe can be accomplished in as little as 2 weeks. Further, Miami is the central hub of winter sailing for both the USA and Canada, guaranteeing a solid competition base for any who travel there to train and race. Though attendance numbers for MOCR have been steadily increasing over the years, the quality of competition still lags the European events scoring a 1.33 in a 1 to 1.5 scale in 2011. 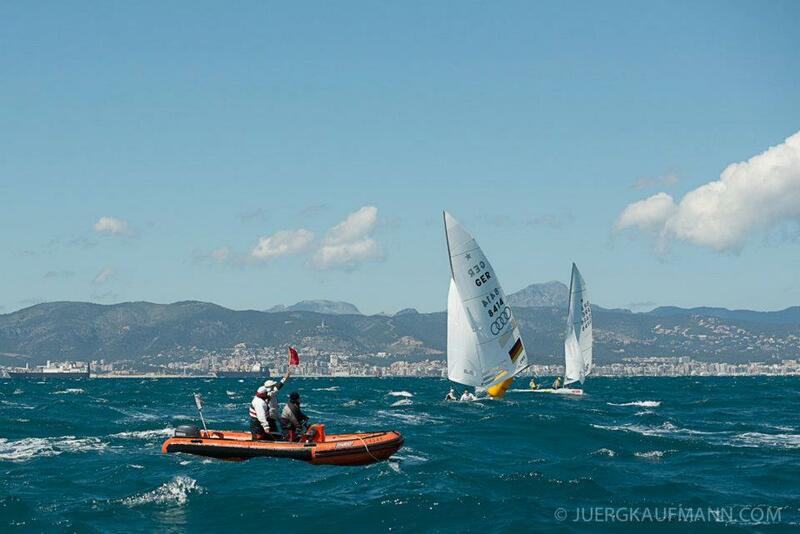 There are huge rewards for successful host cities to attract the sailors to events. So if Miami and Melbourne have struggled to attract top sailors to their events, how will eliminating popular European events help out sailing? The answer is it won’t. If top European teams don’t support events in Miami or Melbourne, the odds of them heading to Asia, Africa, and South America for World Cup Events has got to be even lower. This winter, with the entire sailing community down under for the Perth all classes World Championships, Sail Melbourne still struggled to attract large numbers and and a deep fleet of top level competitors. Every regatta should use participation as the measure of success. At a point in time that the ‘foreign’ World Cup events are successful, then trimming down the European calendar can be considered. If ISAF are serious about making the SWC be the driving force of competitive sailing, they need a massive change in priorities. At least 1/2 their budget should go to the world cup, and of that a max of 20% should go to officials. Just find a way to get away with less. Instead a myriad of judges, jury, measurers, and other officials, let the money flow to prize money, travel grants, a coordinated logistics schedule, mass housing at empty college dorms, etc. all to encourage the sailors to attend. I can’t wait anymore :). Nice information about sailing world cup.